The Westerly Typhoon was designed to keep both racing enthusiasts and family cruisers happy. 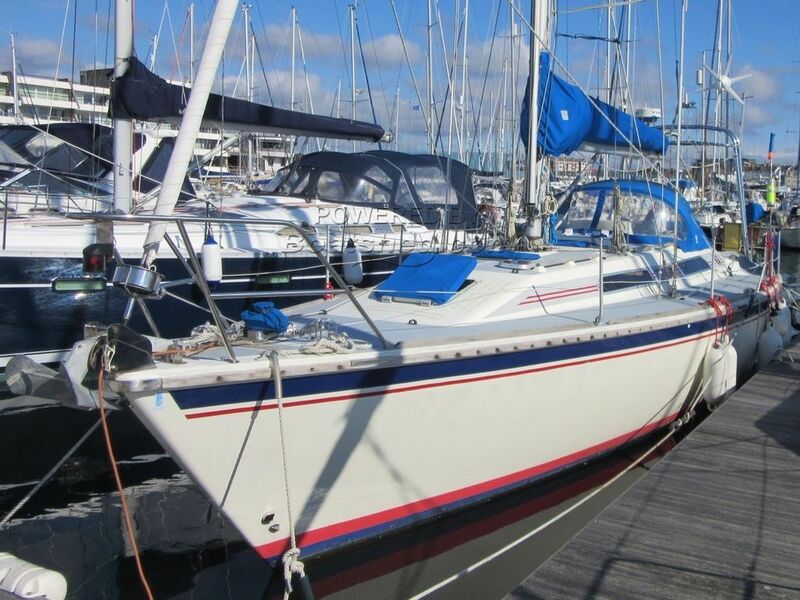 Considered by some to be one of Westerly’s best, this example has been cruised extensively, very well looked after and is clean, tidy and well equipped. This example comes with 2017 standing rigging, 2005 re-bedded windows and an excellent, integrated navigation fit. The lines lead aft to self tailing winches in a roomy cockpit whilst the Hydrovane self steering helps to make long passages more relaxing. Light & airy down below, the accommodation is well designed with a quality finish. The galley is well set out & equipped as is the forward facing nav station (starship enterprise springs to mind). The head-linings appear to be in excellent condition throughout, there are two separate heads compartments, berths for seven and this version has the large aft owners cabin. All in all, a superb performance cruiser that would be ideal for sailing in the Med. This Westerly Typhoon 37 has been personally photographed and viewed by Billy & Jo Hallam of Boatshed Plymouth. Click here for contact details.